1.1 How to Deactivate or Stop GP Viber Messaging Package 20 MB Internet 2 TK Offer? Hello Dear, Welcome to GP Viber Messaging Package 20 MB Internet 2 TK Offer. 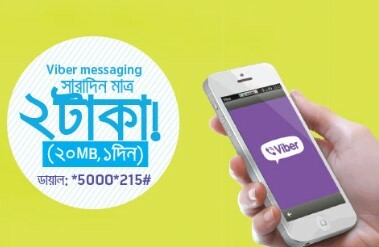 All the Grameenphone Prepaid and Postpaid Customers are eligible to enjoy GP 20 MB Viber Messaging Package at only 2 Taka. 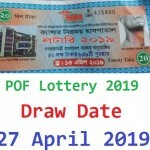 If you are Grameenphone Connection user and want to activate GP 20 MB Viber Internet 2 TK Offer, We recommend you first check the GP Viber Offer detail Terms and Condition. The GP 20 MB Viber Messaging Package Campaign will run from 8th September 2016 until further notice. To activate GP Viber Pack 20 MB @ 2 TK Offer, Customers need to Dial USSD Code *5000*215#. The validity of GP Viber Package 20 MB Internet 1 Day. Customers can activate the Viber GP 20 MB Internet as many times as he/she Want during the offer period. The Viber voice call and video call is not part of this package. Internet charge applicable for Viber voice call and video call. This 20 MB GP Viber package will not have an effect on any other data packages. If customers crosses the 20MB viber volume quota within 24 hours, they will be charged as Tk.01/10KB till expiry dateupto Tk. 200 if they have no other Internet volume available This offer is valid for both Prepaid and postpaid Customers (delete, repetition). The Users need to download the Viber application from the respective online stores. To check GP 20 MB Viber Package, Just dial *121*1*4#. How to Deactivate or Stop GP Viber Messaging Package 20 MB Internet 2 TK Offer? It is very easy to Stop or Deactivate GP Viber Messaging Package 20 MB Internet 2 TK Offer. Just go to the Message Option then Type “stop” and send to 5000. Thanks for staying with us a long time and visiting GP Viber Messaging Package 20 MB Internet 2 TK Offer. If you have any question or confusion about the GP 20 MB Free Viber Internet Offer, Just comment here. We reply as soon as possible with a correct answer.